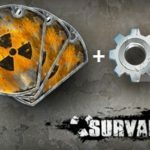 Steelseries.com is giving away free Survarium Marauder Packs! There are more than 4000 available keys and to get one, you must click the red button, login to your Seelseries account and hit the “Get Your Key” button! Then, follow the listed instructions on how to redeem it! Hurry up before they run out of keys! 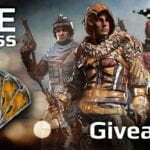 Giveaway.su is offering 10000 free Explorer DLC Packs for Survarium! Click the red button, log in with your Steam account, follow the instructions listed and you will get your free Steam keys! As always the core game is required. VG247 is giving away free Access keys for the Survarium’s brand-new PVE mode. Will you be trying it out?